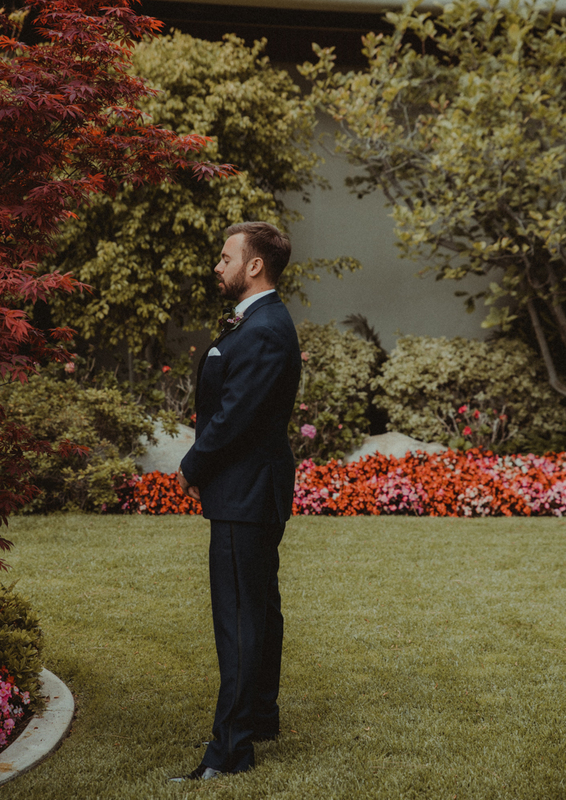 The weather was a perfect shade of overcast as the bride and groom got ready in their separate hotel rooms. 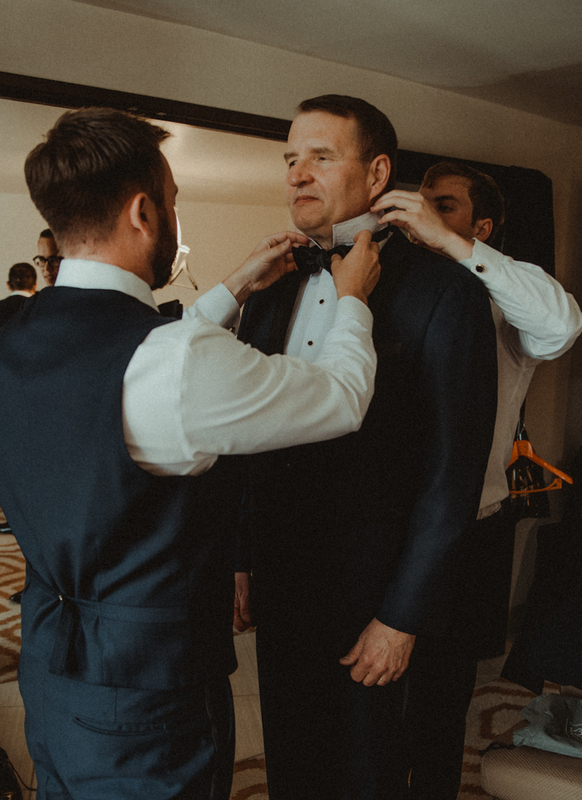 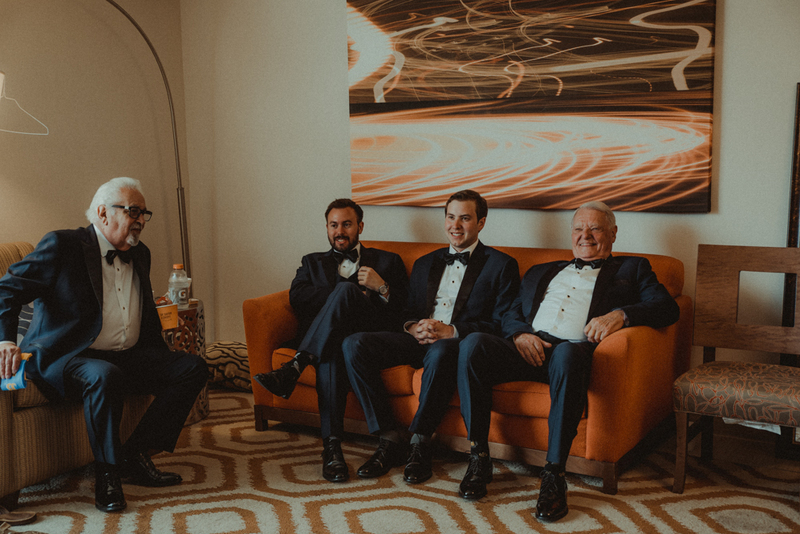 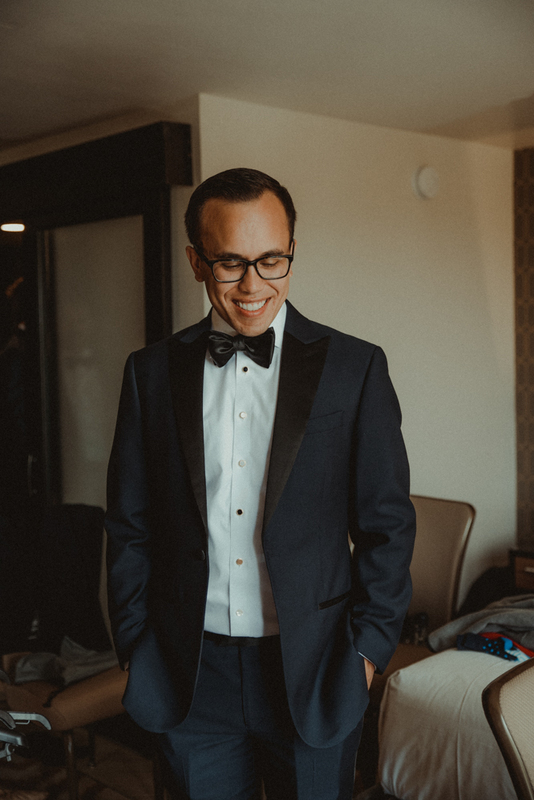 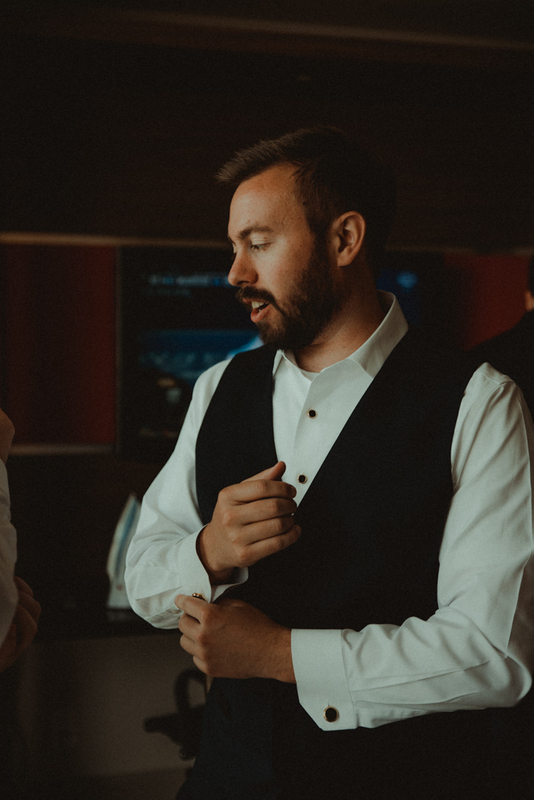 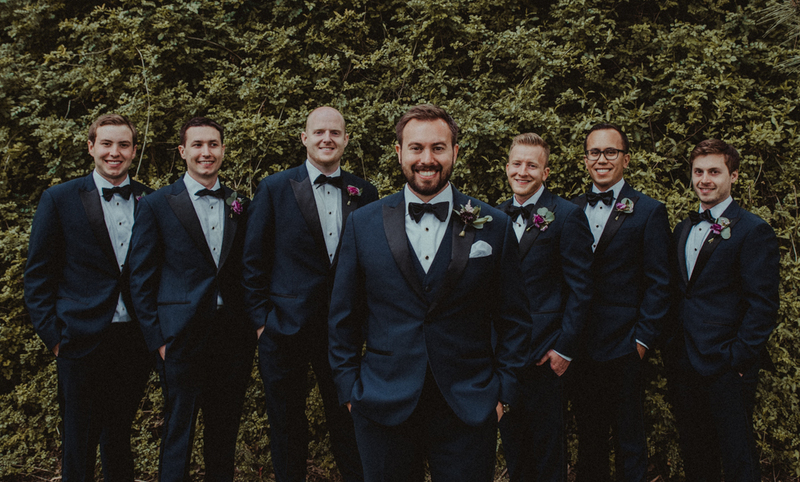 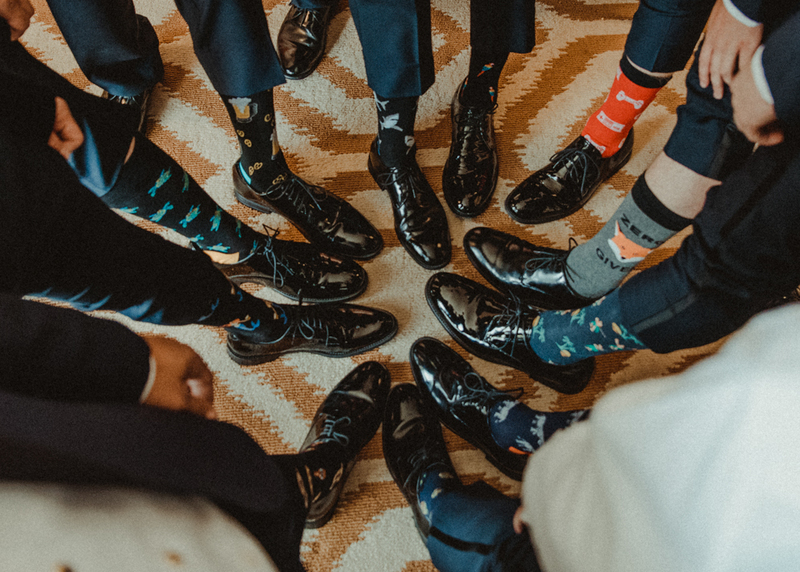 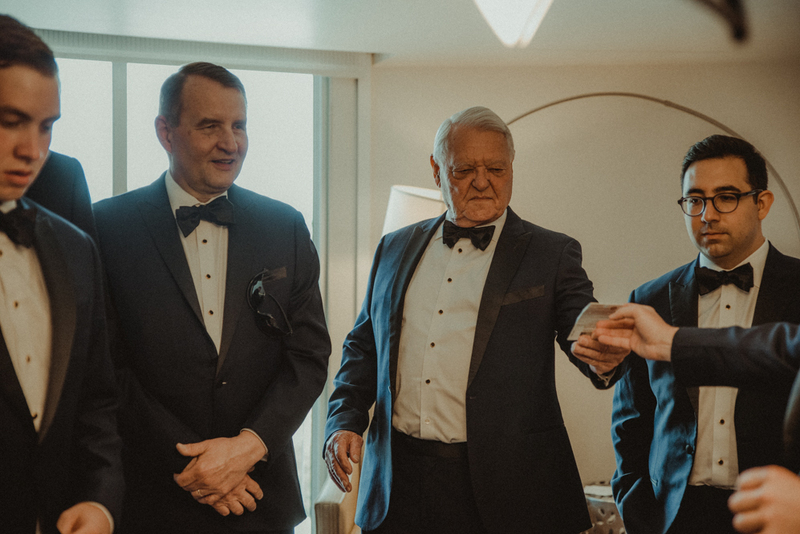 I had the pleasure of hanging out with the grooms and his many, many, many groomsmen and family members in the Hotel Angeleno as they prepared for the big day. 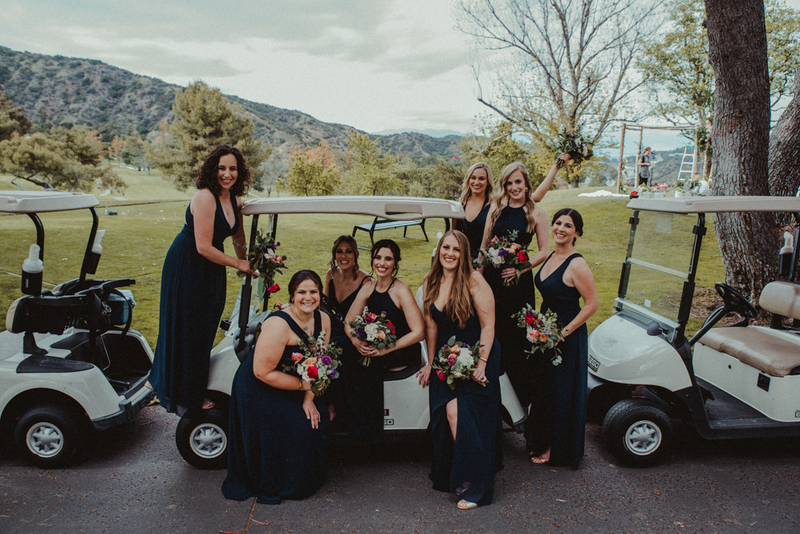 When the guys were done getting glam, we all left caravan style to the Mountain Gate Country Club where the wedding was being held later that day. 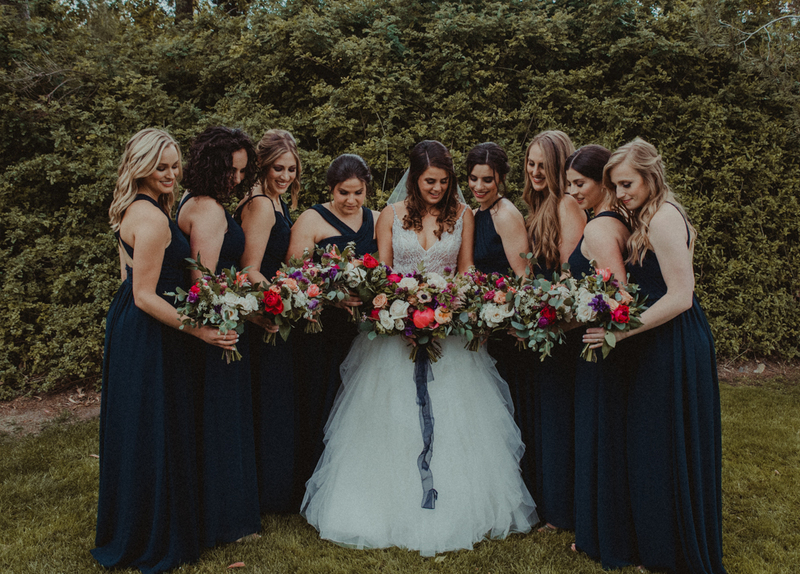 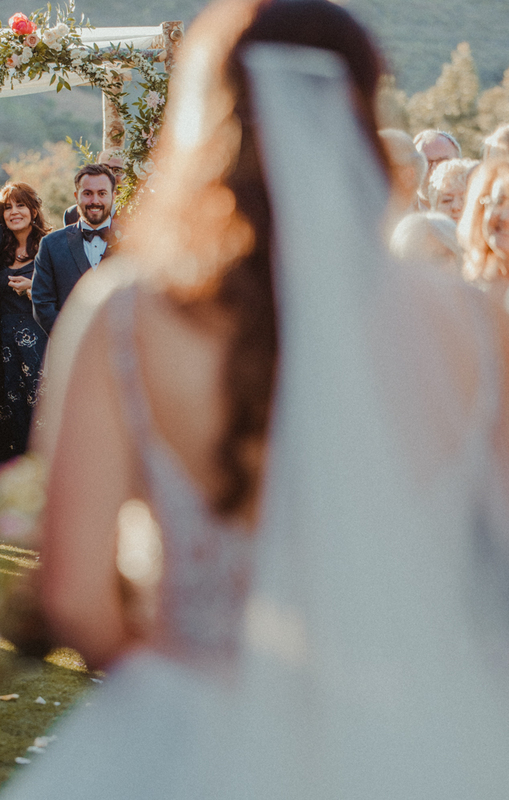 The Bride and Groom had decided on doing a first look which is such a gift to us photographers and this one was extra special because all their friends, family and loved ones where there to witness the moment. 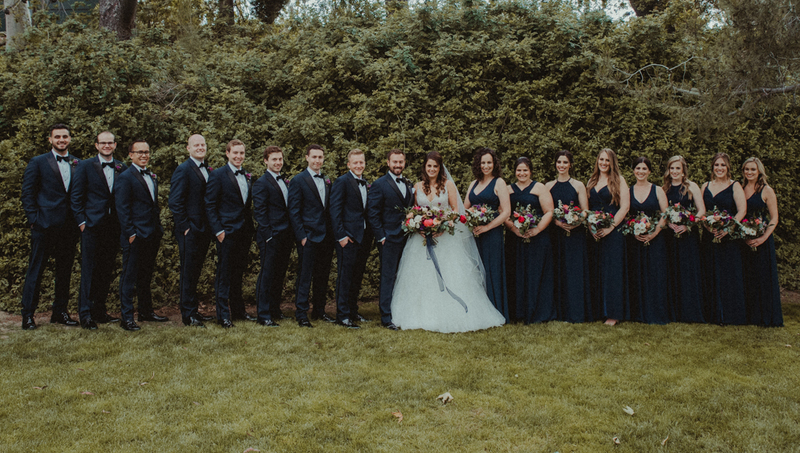 After the first look, the whole crew went to get portraits done and when I say portraits, we DID portraits and A LOT of them! 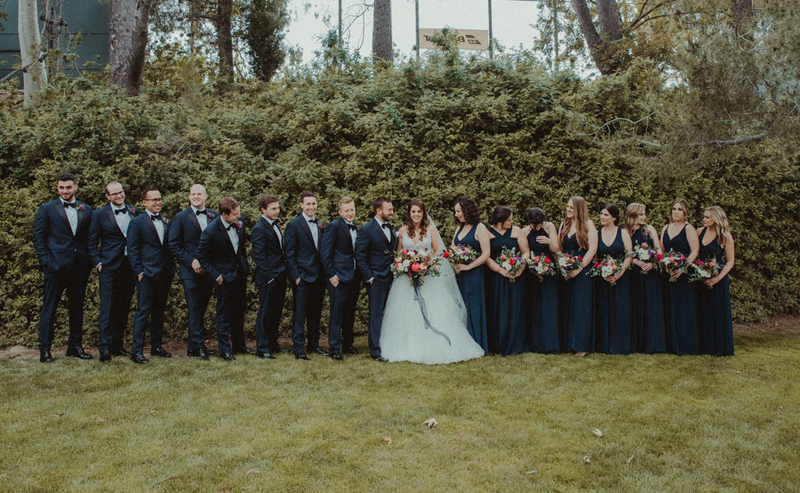 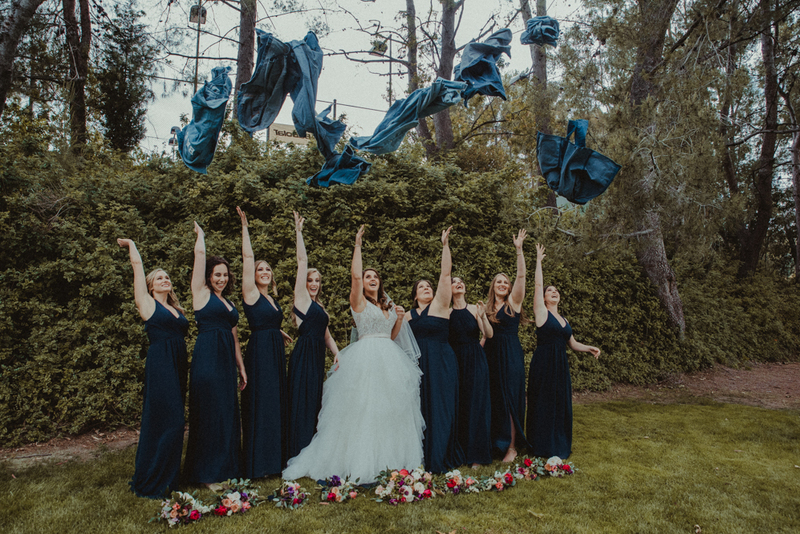 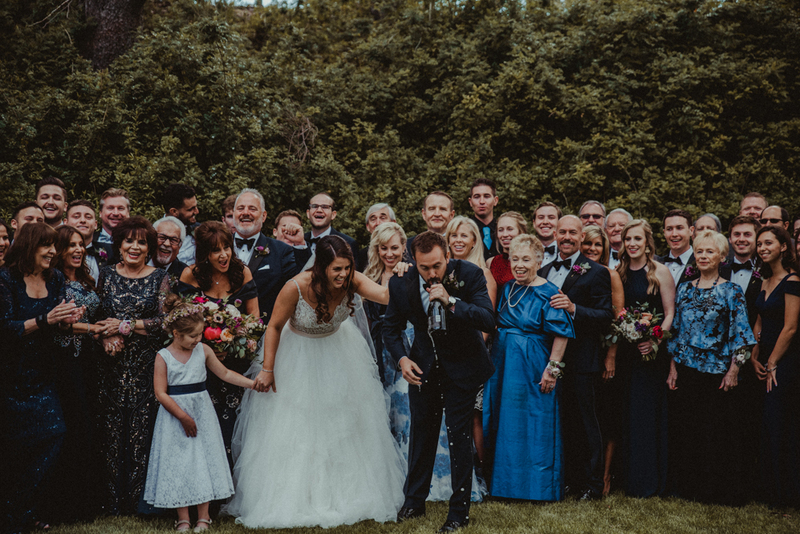 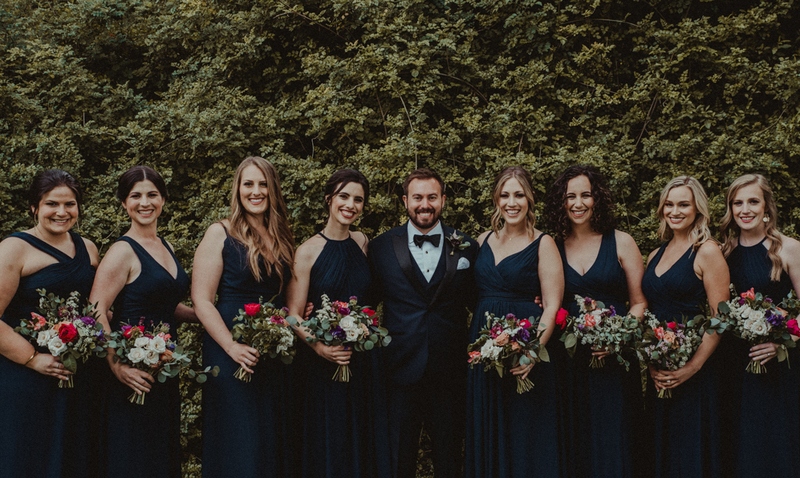 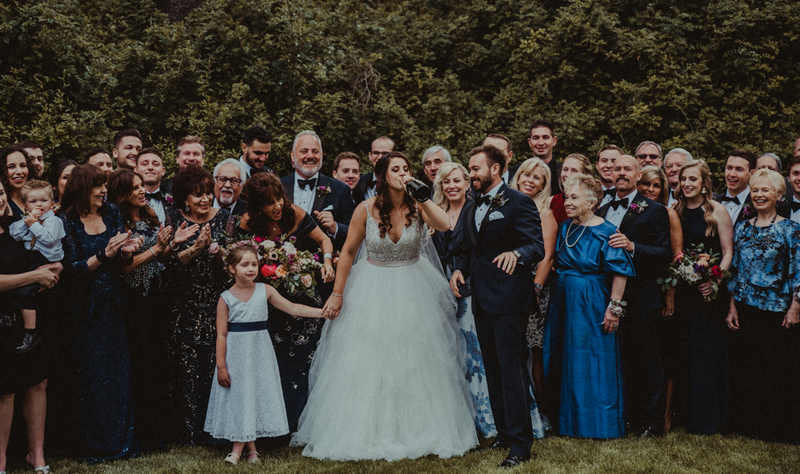 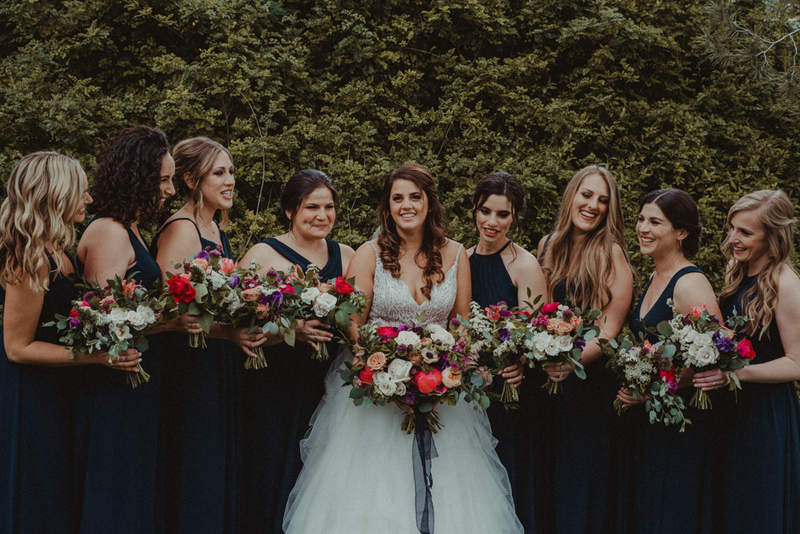 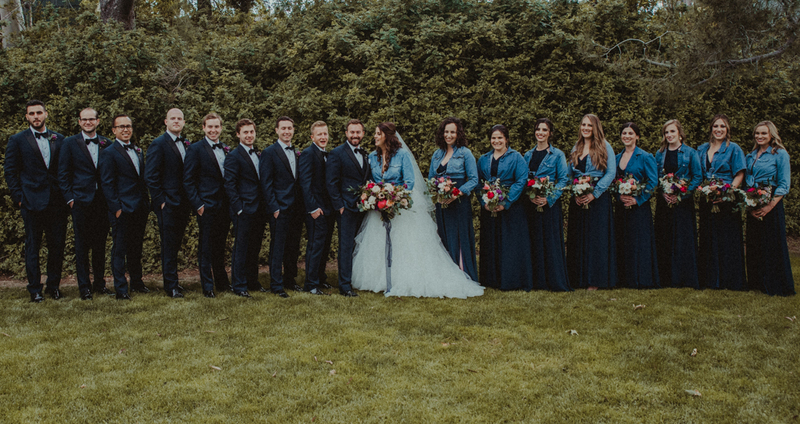 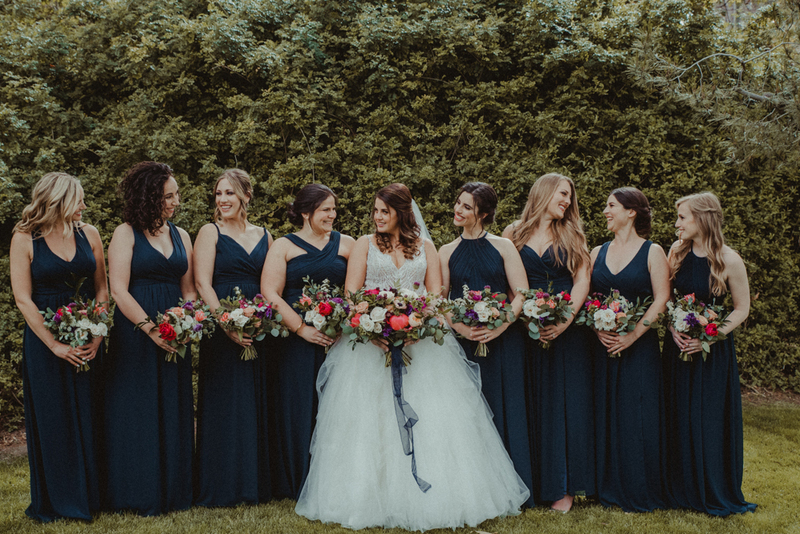 This family was big and so loved that the Bride and Groom wanted to make sure that everyone was included in the photos! 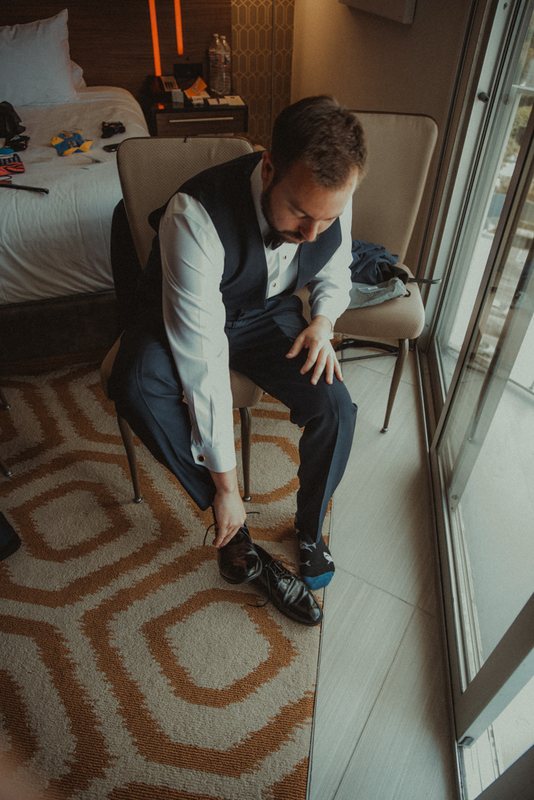 After our 2 hour portrait session, everyone went off for a much needed cocktail hour while I went off to photograph all the beautiful details before the wedding started. 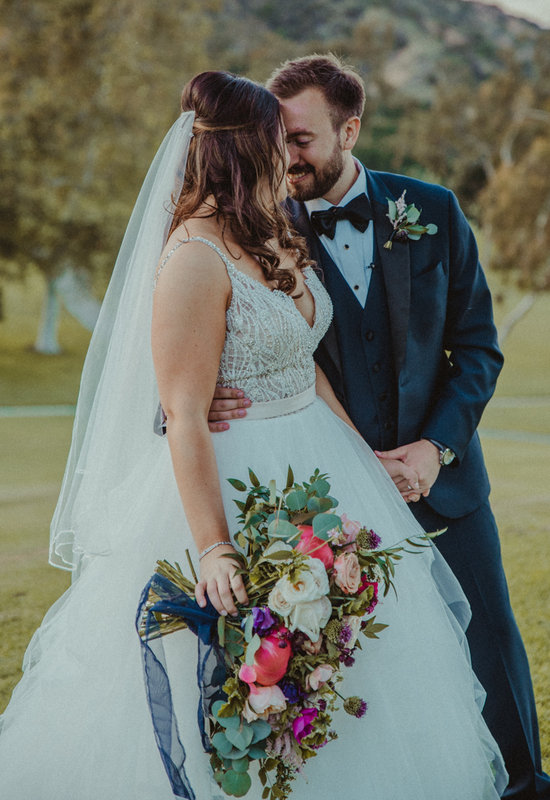 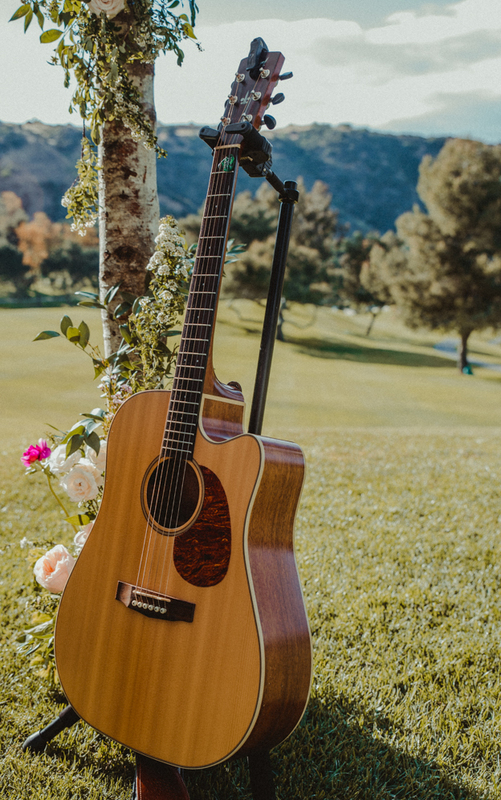 The ceremony started right as the sun hit the canyon and draped the hills in honey golden light, illuminating the couple as they made their way down the aisle and toward their new lives together. 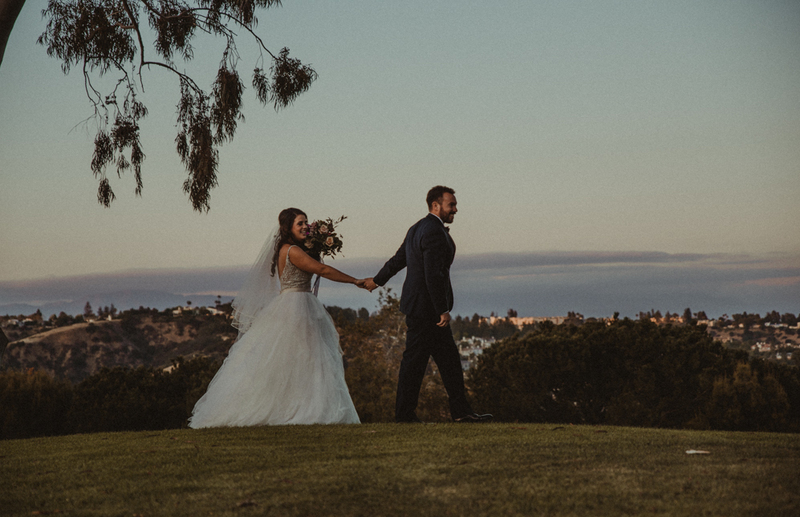 After the ceremony we chased the rest of daylight to do a quick bridal portrait session before the reception. 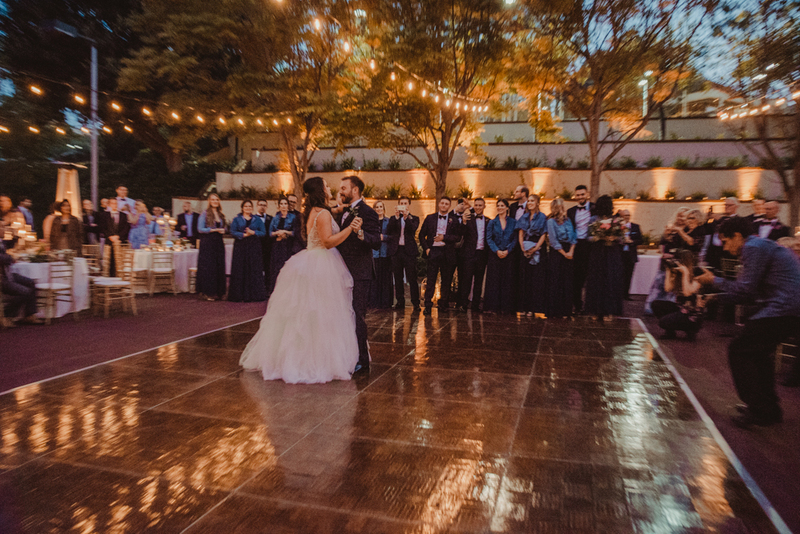 As we took in the last of the days light, the newlyweds prepared for their grand entrance and after a long day of photos were ready to party!